The MyTransitMapper is an one of the many unwanted web pages, which can be opened automatically each time you start the internet browser. 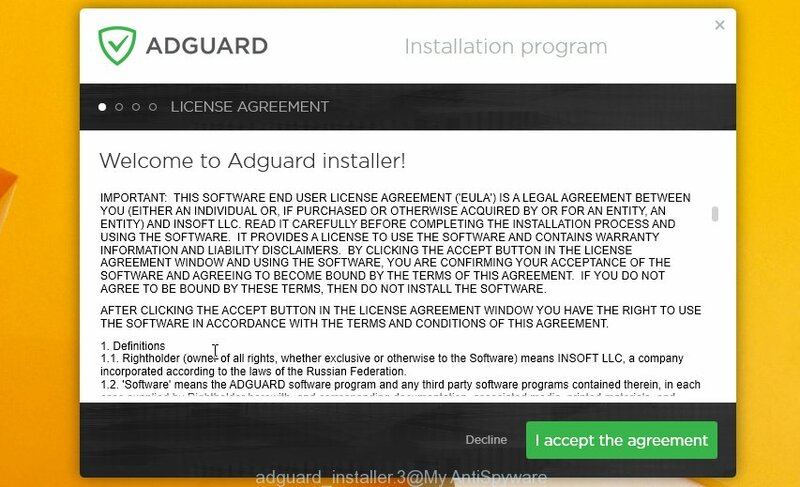 The reason of automatic opening of this page is browser hijacker, which was set on your computer without your consent. Once started, the infection changes the Google Chrome, Firefox, IE and Edge’s start page and search provider by default to redirect you on an unknown or ads web site. Because, the owners of such web pages do not disdain to use any methods to promote their pages and attract new users. Below we explain how to remove MyTransitMapper search from the Chrome, Microsoft Internet Explorer, Firefox and Microsoft Edge thereby restore your favorite homepage, new tab page and search engine by default to normal state. Most often, the MyTransitMapper browser hijacker affects most common internet browsers like Firefox, Google Chrome, IE and Microsoft Edge. But such hijackers as well may infect another web-browsers by changing its shortcuts (adding ‘http://site.address’ into Target field of web browser’s shortcut). So every time you start the web browser, it’ll display MyTransitMapper web site. Even if you setup your start page again, it is still the first thing you see when you launch the browser will be the unwanted MyTransitMapper site. The MyTransitMapper hijacker may also modify the default search engine that will virtually block the possibility of finding information on the Net. The reason for this is that the MyTransitMapper search results may display lots of ads, links to unwanted and ad web-pages. Only the remaining part is the result of your search request, loaded from the major search engines like Google, Yahoo or Bing. Often, the computer that has been infected with MyTransitMapper infection, will be also infected with adware (sometimes called ‘ad-supported’ software) that shows a large amount of various ads. It may be pop-ups, text links in the web pages, banners where they never had. What is more, the ad-supported software may replace the legitimate ads with malicious ads which will offer to download and install malicious software and unwanted software or visit the various dangerous and misleading web-sites. We suggest you to remove MyTransitMapper search and clean your PC system as quickly as possible, until the presence of the browser hijacker infection has not led to even worse consequences. Perform the steps below that will allow you to completely remove MyTransitMapper , using only the built-in Windows features and a few of specialized free tools. Disregarding the basic computer security practices such as no antivirus application installed, installation of unknown applications and free programs which may be bundled with hijacker, as well as computer virus infection are the possible causes of web browser redirect. 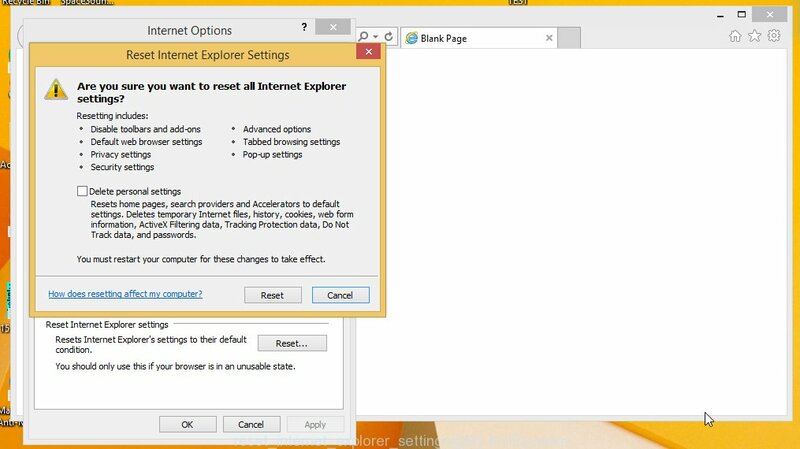 Moreover, random visits to an unknown and untrusted web-pages, when you click on the search results from Google (Yahoo, Bing) or links on the Internet, when the PC system is not protected with a software that may block access to malicious sites, it can also lead to the fact that instead of your homepage, the internet browser will be redirected to MyTransitMapper or other unwanted web pages. This step-by-step instructions will help you delete MyTransitMapper . These MyTransitMapper removal steps work for the Firefox, Google Chrome, Internet Explorer and MS Edge, as well as every version of Windows operating system. Some of the steps may require you to close the internet browser or reboot your computer. So, bookmark or print it for later reference. The best way to begin the computer cleanup is to delete unknown and suspicious applications. Using the Windows Control Panel you can do this quickly and easily. This step, in spite of its simplicity, should not be ignored, because the removing of unneeded programs can clean up the Chrome, Firefox, MS Edge and Internet Explorer from advertisements hijackers and so on. 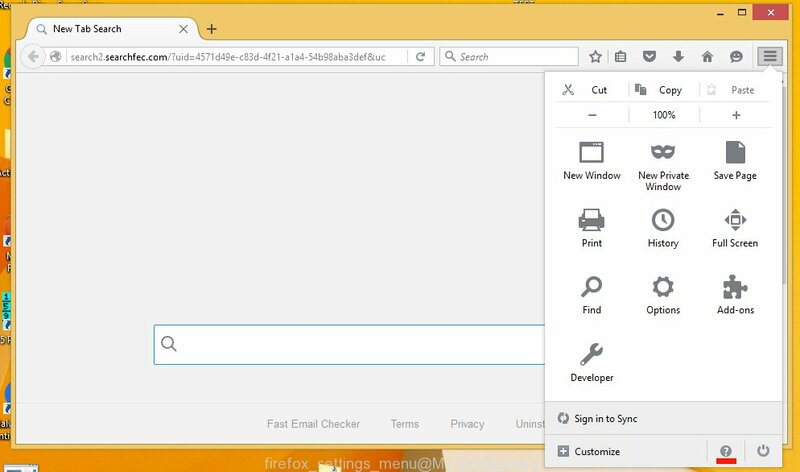 If the Mozilla Firefox settings such as start page and search provider by default have been changed by the hijacker, then resetting it to the default state can help. It will open the confirmation dialog box. 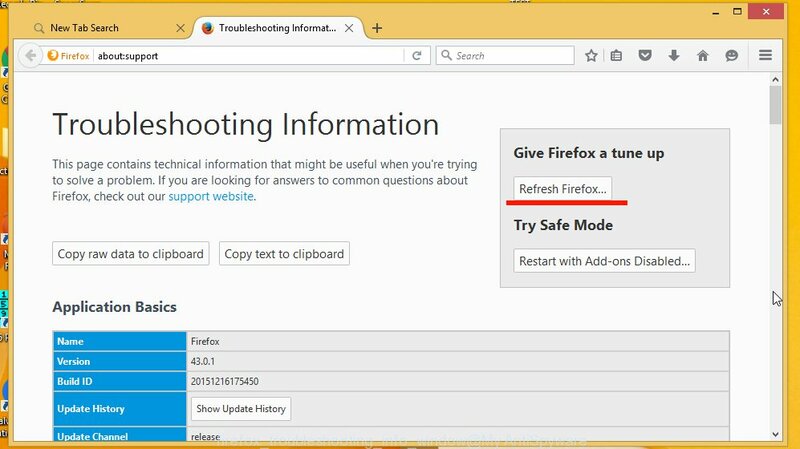 Further, click the “Refresh Firefox” button. The Mozilla Firefox will start a procedure to fix your problems that caused by the MyTransitMapper hijacker. When, it is finished, click the “Finish” button. 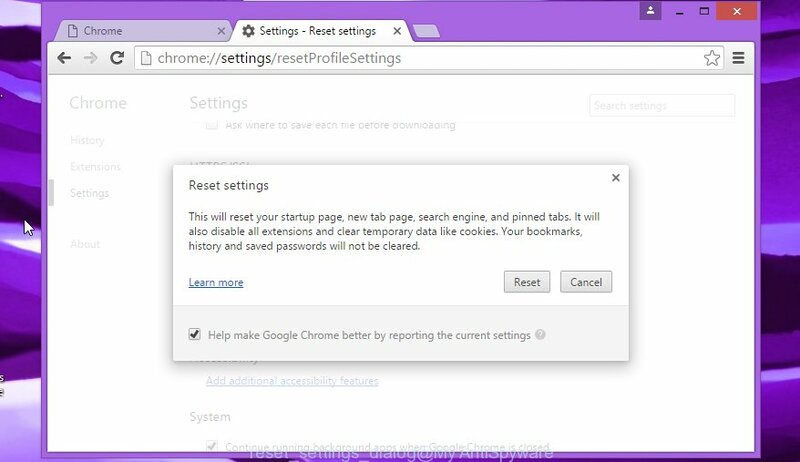 Reset Google Chrome settings is a simple way to delete the browser hijacker, dangerous and ‘ad-supported’ extensions, as well as to restore the internet browser’s home page, newtab page and search provider by default that have been changed by MyTransitMapper hijacker infection. Once this process is complete, your web browser’s startpage, new tab page and default search engine will be restored to their original defaults. Once the hijacker infection is started, it can also modify the internet browser’s shortcuts, adding an argument similar “http://site.address” into the Target field. Due to this, every time you run the browser, it will display an annoying web-page. You can remove MyTransitMapper startpage automatically with a help of Malwarebytes Free. We recommend this free malware removal tool because it can easily remove browser hijackers, adware (also known as ‘ad-supported’ software), potentially unwanted programs and toolbars with all their components such as files, folders and registry entries. Once the downloading process is finished, close all windows on your system. Further, start the file named mb3-setup. If the “User Account Control” prompt pops up as shown on the image below, press the “Yes” button. Once installation is finished successfully, click Finish button. 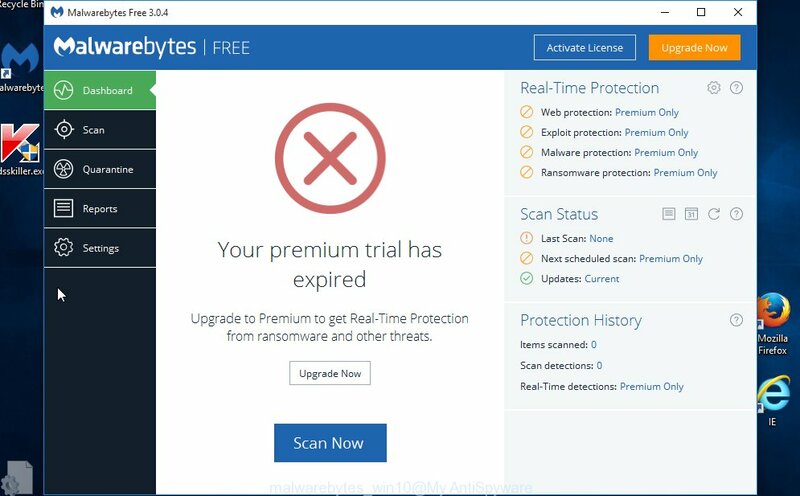 Then Malwarebytes will automatically start and you can see its main window as shown on the image below. Next, press the “Scan Now” button to start checking your computer for the hijacker which cause a redirect to MyTransitMapper. When a threat is found, the number of the detected objects will change accordingly. Wait until the the scanning is complete. Please be patient. 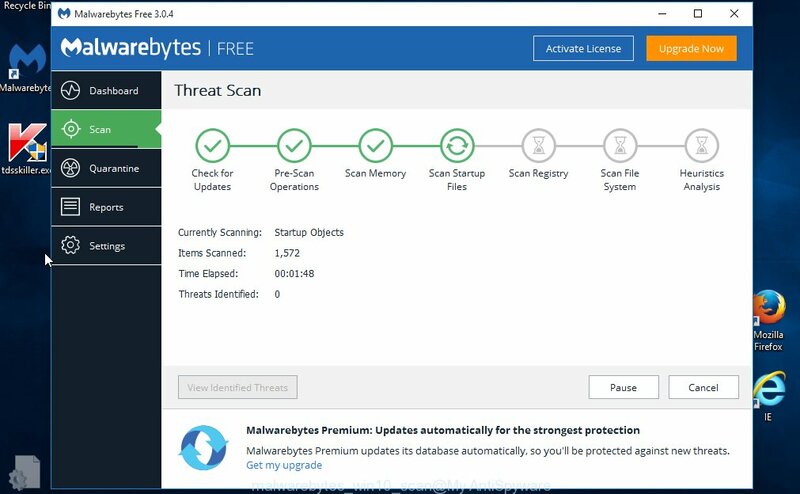 The Malwarebytes will begin removing MyTransitMapper browser hijacker and other security threats. Once disinfection is finished, you may be prompted to reboot your machine. 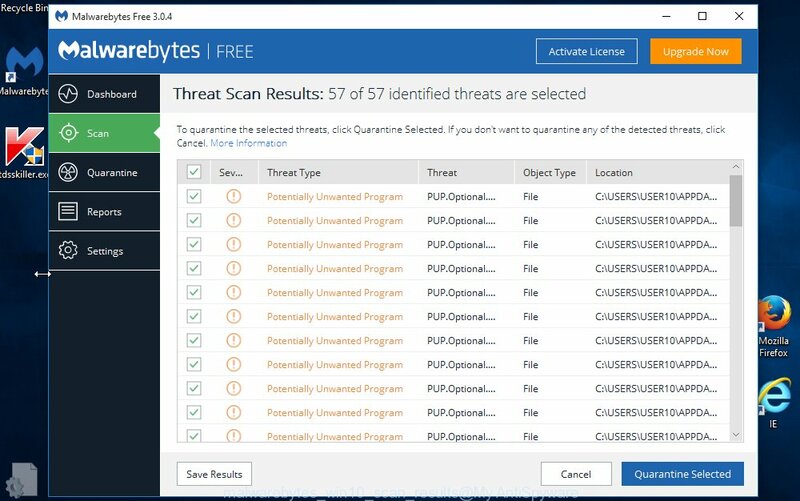 I recommend you look at the following video, which completely explains the procedure of using the Malwarebytes to delete browser hijacker, adware and other dangerous programs. To increase your security and protect your computer against new unwanted ads and harmful web-sites, you need to use an application that blocks access to dangerous ads and web-pages. Moreover, the program can stop the open of intrusive advertising, that also leads to faster loading of web-pages and reduce the consumption of web traffic. In most cases, the default settings are enough and you don’t need to change anything. 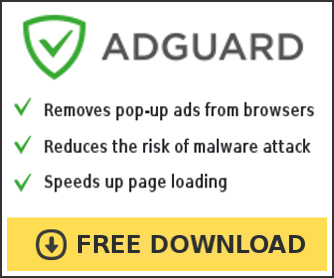 Each time, when you launch your PC system, AdGuard will start automatically and block ads, sites such MyTransitMapper, as well as other dangerous or misleading web sites. 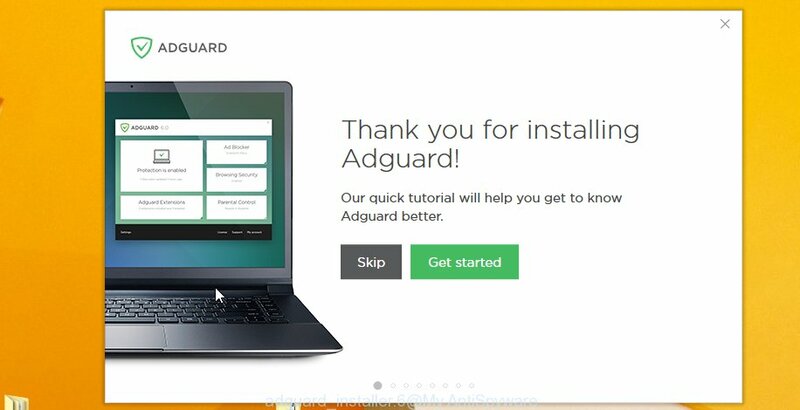 For an overview of all the features of the application, or to change its settings you can simply double-click on the AdGuard icon, that is located on your desktop. If MalwareBytes Anti-malware cannot remove this hijacker, then we suggests to use the AdwCleaner. 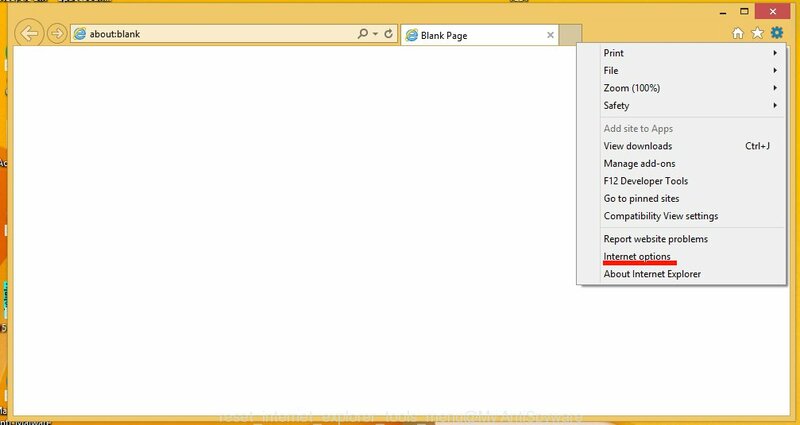 AdwCleaner is a free removal tool for browser hijackers, adware, PUPs, toolbars. Double press the AdwCleaner icon. Once this tool is started, click “Scan” button . This will begin scanning the whole system to find out MyTransitMapper hijacker. When it has finished scanning your PC system, the AdwCleaner will show a scan report. Review the report and then click “Clean” button. It will open a prompt, click “OK”. After completing the steps outlined above, your system should be clean from malware and browser hijackers. The Google Chrome, FF, MS Edge and IE will no longer open MyTransitMapper annoying homepage on startup. Unfortunately, if the guide does not help you, then you have caught a new browser hijacker, and then the best way – ask for help. Wait for one of our trained “Security Team” or Site Administrator to provide you with knowledgeable assistance tailored to your problem with the unwanted MyTransitMapper startpage.